As a result of construction at the Grand Floridian Resort and Spa, the Walt Disney World Resort Monorail will be operating on a limited schedule beginning October 6, 2013. 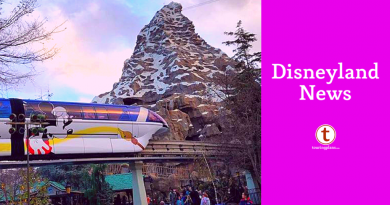 On that day and for what is projected to be two weeks after, the resort monorail will stop running at 11 a.m. daily and will remain down until 6 p.m. each day. Guests will be re-routed to resort buses and boats in order to get to Magic Kingdom, the Transportation and Ticket Center, and the other monorail resorts. For those of you traveling on these alternate methods of transportation, be sure to remember that Disney bus and boat rules require that you fold and store strollers, walkers, and other rolling devices. The Express Monorail will continue to run normally between the Transportation and Ticket Center (TTC) and Magic Kingdom during this period. Whew! Thanks for the info. I almost had a heart attack when I read this post. I planned to travel to MK –> EPCOT – then back to MK next week. I’m happy to read that the TTC monorail will still have regular service! No heart attacks! =) Glad it’s not going to put a wrinkle in your plans. Have a great time! Is this just for 2 weeks? I am coming in November and will have dissapointed kids if the monorail hours are shortened. Dan, Disney has said that it’s projected at two weeks. I think you’ll be fine come November, but be sure to stay tuned to Touring Plans and we’ll keep you updated. Hope you have a great trip!